The running time of the hypersonic Ludwieg tube quiet wind tunnel is very important to simulate the quiet flow field in the test section, which could contribute to rational utilization of the limited available time and affect the confidence coefficient of the data in the hypersonic transition experimental investigations. 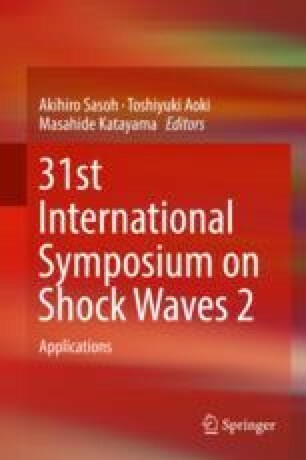 Thus, more knowledge on that processes could help to understand the running mode of the Ludwieg tube quiet tunnel and the propagation principle of the expansion wave series. To verify our computational method, the same parameter of the BAM6QT (the Boeing/AFOSR Mach-6 quiet tunnel at Purdue University) is used to compute, and it is agreed with our computational results. At the same time, the Mach4 of the nozzle is designed and built; the time of the flow stream is calibrated.